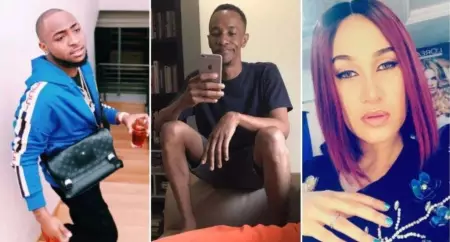 The new Lagos Commissioner of police, Imohimi Edgar has reportedly invited singer Davido and actress Caroline Danjuma for questioning last night over Tagbo’s death, sources reports. According to Sources, Caroline declined to speak further on Tabgo’s death, saying its now a family issue and she won’t be making any more comments with Tagbo’s family signing off on it. ‘I don’t have anything to share with you because I’m not the only one in this picture, there are family members involved, so I can’t just start sharing things with you without the approval of the family members, if there’s an approval, I’ll let you know’ she said.